Lieutenant Colonel Anthony Shaffer’s revelation that the Able Danger intelligence unit had reported to Philip Zelikow, the executive staff director of the 9/11 Commission, about identifications of Mohammed Atta and other future hijackers working as part of a cell of Al Qaeda operating in the United States at least a year before 9/11, only for this vital information to be suppressed, invites a parallel with a presidential commission forty-two years ago this coming November. As reported by the “New York Times” and other news organizations, not only was the information that an attack was being planned known, later Pentagon denials notwithstanding, but also Defense Department lawyers prevented the Able Danger unit from sharing this information with the F.B.I. A Navy captain named Scott Phillpott, according to the Associated Press, apparently also reported to the 9/11 Commission on these Able Danger findings, to no avail. It may be that the immediate motive for the emergence of these astonishing facts involves lobbying for increasing funding for domestic military surveillance. Yet Colonel Shaffer has opened a window onto presidential commissions and their failure of responsibility to an informed citizenry. “Information has to get out, and I think we have to account for why some of these things weren’t looked at as part of the overall report,” Shaffer said on National Public Radio. The Warren Commission lacked a context to evaluate this incident because it had not been informed of the C.I.A.’s attempts to assassinate Fidel Castro, now a matter of public record, and a matter to be concealed, unlike today when a Pat Robertson can openly advocate the assassination of a foreign leader. 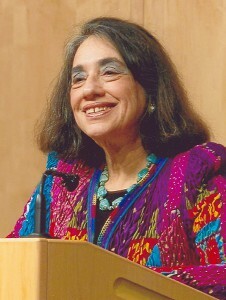 Had the Odio incident been explored fully, some uncomfortable truths might have emerged, truths that could have modified the conclusions of the Warren Report, just as Lieutenant Colonel Shaffer’s information, tested, might have altered the findings of the 9/11 Commission, and the biography of Mohammed Atta been more thoroughly researched. 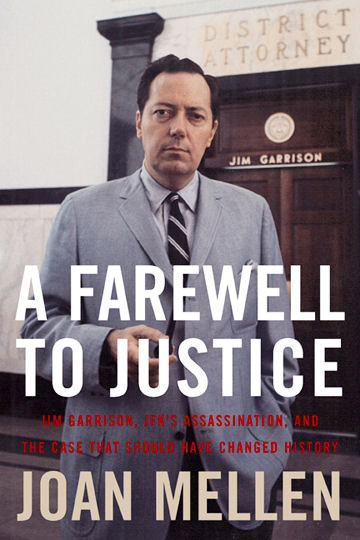 In my own study of the Kennedy assassination for my book, “A Farewell to Justice,” I discovered that parallel to these secret efforts by the C.I.A., Robert F. Kennedy was organizing his own clandestine plots to assassinate Fidel Castro. The sources are the released minutes of the President’s Foreign Intelligence Advisory Board, the Church Committee papers, and the Cubans who worked closely with the Attorney General. Bobby’s instruction to his special team was twofold. 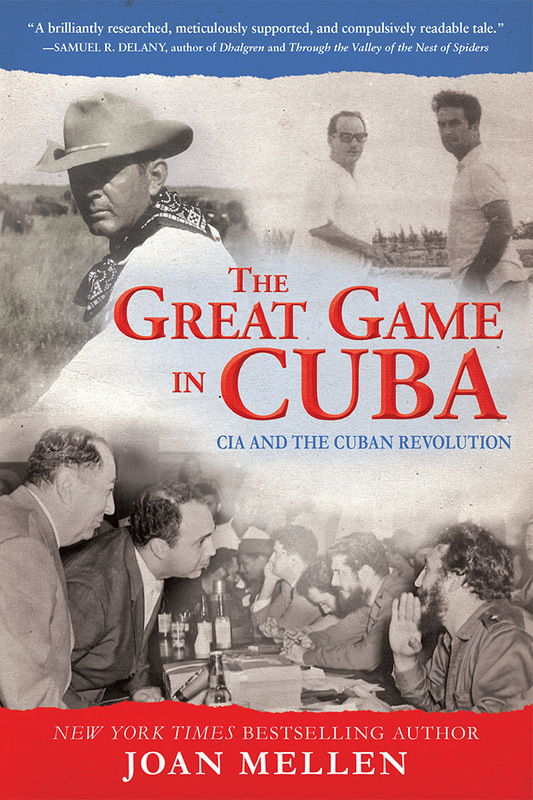 It was to discover a means of ridding the Kennedy administration of the Communist thorn in its side “ninety miles from home.” It was also to protect his brother from the murderous impulses of an anti-Castro Cuban incensed by John F. Kennedy’s refusal to support the invasion of Cuba at the Bay of Pigs. Among those closest to Bobby Kennedy was a man still living in Florida today, Angelo Murgado, who, during the summer of 1963, traveled on Bobby’s behalf to New Orleans. 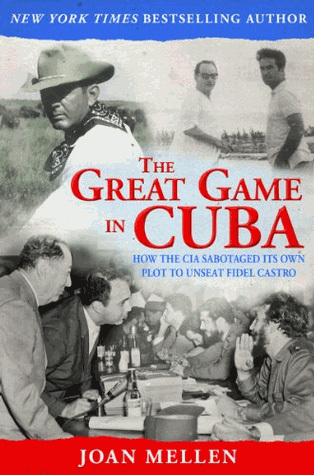 Moving among, as he puts it, “Castro’s agents, double agents, and Cubans working for the C.I.A., he hoped to “neutralize” a future assassin. In New Orleans, Mr. Murgado met Lee Harvey Oswald, who resided there in the city of his birth from April to September 1963. Hitherto unreported is that Bobby Kennedy became aware of Oswald – before the assassination. Bobby even discovered that Oswald was working for the F.B.I., a fact brought to the attention of the Warren Commission as well, and subsequently confirmed for the House Select Committee on Assassinations in the late 1970s by an F.B.I. employee, William Walter, who viewed the Bureau’s copious files on Oswald at the New Orleans field office when Oswald was arrested that August for a staged fracas on Canal Street where he was handing out “Fair Play for Cuba” leaflets. “If the F.B.I. is controlling him,” Bobby reasoned, according to Mr. Murgado, “he’s no problem.” Operating alone, covertly, suspecting a threat to his brother, Bobby underestimated who Oswald was and ceased to make him a major target of his concern. Bobby knew “something was cooking in New Orleans,” Angel Murgado says, New Orleans that harlot city now destroyed by flood in a catastrophe of Biblical proportion, New Orleans that sin city where the Kennedy assassination incubated. But Bobby held back. 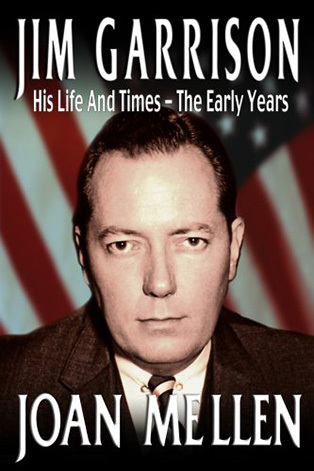 He urged “caution,” and apparently he did not share what he knew about Oswald with those who should have been expected to help him protect the President. Angelo Murgado and a fellow veteran of the Bay of Pigs, in September, were the men who traveled with Oswald from New Orleans to Dallas where they visited Sylvia Odio. (Mrs. Odio testified that the three traveled together although Angelo says that when he and Leopoldo, who drove from New Orleans together, arrived at Sylvia Odio’s, Oswald was already there, sitting in the apartment. That “Leopoldo” and Angelo both knew Oswald, there is no doubt). Their objective, or so Angelo thought, was to search for help in their anti-Castro efforts; they talked to Mrs. Odio about buying arms to overthrow Castro. Angelo believed he could trust his companion, referred to in the Warren Report as “Leopoldo,” because not only was he a fellow veteran of the Bay of Pigs, but his brother was running for mayor of Miami. He was respectable. Out of Angelo’s hearing, “Leopoldo” phoned Mrs. Odio the next day to tell her how “Leon” Oswald had talked about the need to murder President Kennedy. “Leon” is “kind of nuts,” Leopoldo said, a conclusion reflected in the Warren Report. Placing Oswald in the company of so close an associate of Bobby Kennedy, in an incident that points to foreknowledge of the assassination, created a trap that would silence Bobby forever, rendering him powerless to make public what he knew about the death of his brother. He asked his aide, Frank Mankiewicz, whether “any of our people were involved,” and, Mankiewicz told me, he thought, did you think there might be? The conversation stopped there. Angelo had been betrayed by a companion he believed he could trust, a man not so much dedicated to the overthrow of Fidel Castro, as Angelo believed, as involved in arranging for Oswald to be blamed for the murder of the President, what the Odio visit was really about. The men who visited Mrs. Odio are identified here for the first time in print. “Leopoldo” was Bernardo de Torres, who testified before the HSCA with immunity granted to him by the C.I.A., so that he was not questioned about the period of time leading up to the Kennedy assassination, as the C.I.A. instructed the Committee on what it could and could not ask this witness. 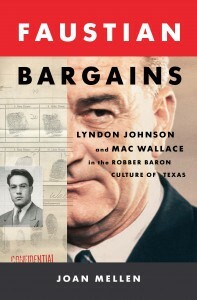 Both the Warren Commission and the HSCA buried the anti-Castro theme, and never explored what Bobby might have known. 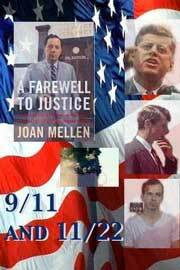 It might be that the assassination of President Kennedy could have been prevented, just as the apprehension of the people uncovered by the Able Danger team, aided by the F.B.I., had it been granted the opportunity, might have altered the course of the 9/11 tragedy. That Robert F. Kennedy not only knew about Lee Harvey Oswald, but also viewed him as a danger, is alone shocking. 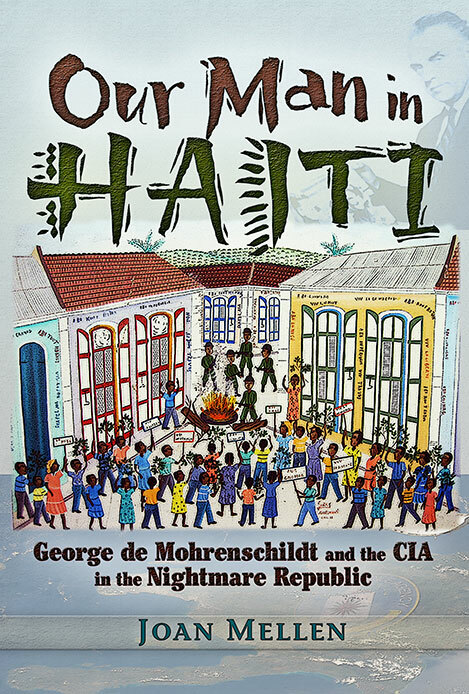 That Bobby put Oswald in New Orleans under surveillance, only to conclude that Oswald posed no threat because he was “just” involved in assassination plots against Fidel Castro, is a chilling precedent for the disasters we may continue to expect from a freewheeling approach to public accountability by government commissions that appear to be willing to keep the citizenry ignorant, and hence vulnerable to attack. A version of this article appeared in the “Key West Citizen” of September 2, 2005.